We use these feeders as well as glass tubular feeders made from the coppersmiths at Holland Hill. Combines patented nectar-guard tips with a built-in ant moat. The ultimate in insect protection while you enjoy the hummingbirds. 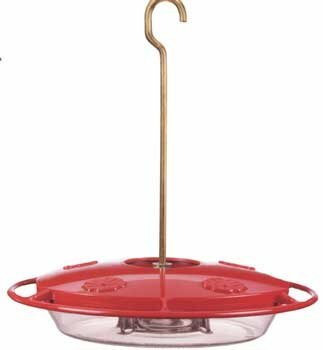 All hummzinger feeders include a built-in nectar scale. 4 feeding ports.